From blush pink to burgundy, and everything in between, we've got your wedding color covered. Nailed the ties? Now complete the look with our favorite add on accessories. Shop our exclusive, on-trend collaborations with the most trusted names in wedding style. Already have your bridesmaid dresses picked? Shop ties & accessories that complement the most popular bridesmaid dress brands and colors. Weddings can be stressful, but dressing for it doesn't have to be. We'll help you find your color, get to know the ins and outs of wearing color and pattern, and easy steps to finish your wedding look. Custom styling appointments for your wedding are now available. Simply email the location of your choice with a date and time that works for you, and we'll be in touch to book an appointment. Please include any relevant details of the big day (colors, bridesmaid dresses, season, location) to help us prepare a special assortment just for you. Whether you're a guest or in the wedding party, showing up in the right look is key. Find the perfect gift for every man at the wedding, without blowing the bank. With colorful and high quality 100% silk ties, cotton ties and linen ties, it is no surprise TheTieBar.com is the destination for wedding parties looking to outfit their groom, groomsmen, fathers, ring bearers and ushers in neckties, bow ties and boys ties. 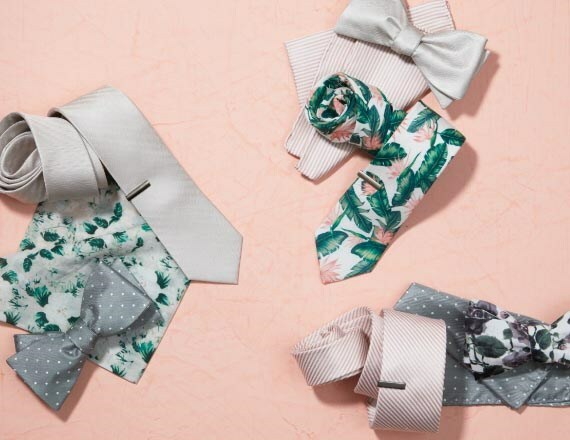 Our neckties have been featured in national wedding and bridal magazines such as Brides, Bridal Guide, Martha Stewart Weddings, StyleMePretty and InStyle Weddings, to name a few. The Tie Bar works hard to post true-to-color pictures of our neckties. However, different computer monitors have different color settings. 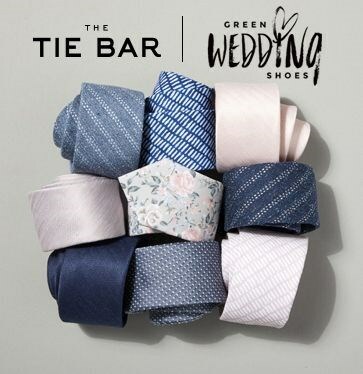 If you need help picking ties, accessories, a color or coordinating a look for your wedding, we suggest emailing weddings@thetiebar.com or calling 877-888-TIES. 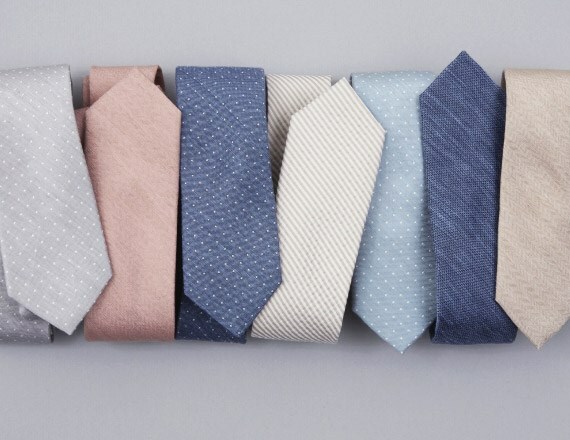 If you see a tie you like but aren't sure of the color, order one at first to see if it matches. If it does, then place an order for the rest! Questions about our return policy can be found here.